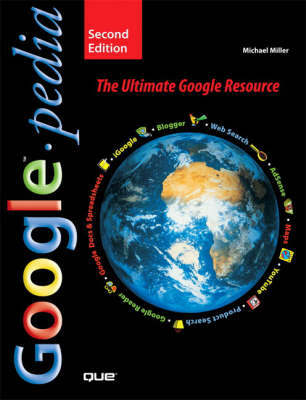 The all-encompassing book about everything Google. Not only will you learn advanced search techniques, but you also will learn how to master Google's web and software tools. It's all inside! GOOGLE MAY BE THE INTERNET'S MOST POPULAR SEARCH SITE, BUT IT'S ALSO MORE THAN JUST SIMPLE WEB SEARCHES. Absolute Beginner's Guide to Computer Basics, Tricks of the eBay Masters, and iPodpedia: The Ultimate iPod and iTunes Resource.